We have a new smile at the Gorman Center! Welcome, Emma Claire Fontenot! Emma Claire, an Eden Prairie native, recently graduated from the University of Notre Dame with a Bachelor of Arts in Spanish and Pre-Health studies. 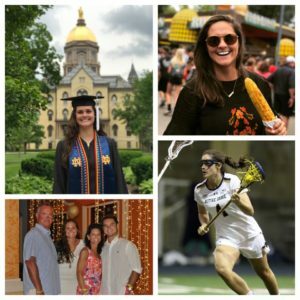 She also played four amazing years of college lacrosse for the Fighting Irish while remaining involved on campus with several organizations, and committing her time to serving her community. Emma Claire lives with her parents, Rod and Kimberly Fontenot and brother, George, who is a sophomore studying Engineering at Purdue University. Dr. Gorman and Emma Claire met for the first time at a Notre Dame Club of Minnesota alumni networking event where she introduced herself and later shadowed Dr. Gorman as her interest in dentistry grew. This year Emma Claire is applying to several outstanding dental schools, involving both written applications and interviews. She has a goal of matriculation in the Fall of 2018, and during this interim period, she will be learning from Dr. Gorman and his team’s many years of experience in comprehensive dentistry. She is off to a great start working alongside Jessica to learn the variety of tasks required of a licensed dental assistant, including lab work and sterilization. 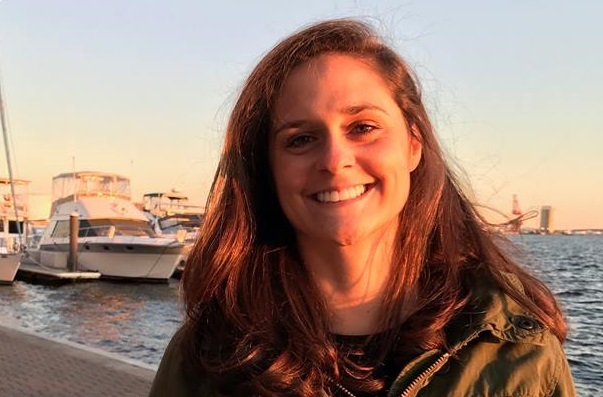 Emma Claire has also spent time with Julie to begin to understand the administrative side of dentistry and shadowed Dr. Gorman to gain insight on the clinical, hand and artistic skills necessary in creating natural appearing dentistry. Emma Claire has also practiced the art of dental photography and the proper way to capture photos of patients’ smiles. Photos are extremely important for Dr. Gorman to plan and design treatment, as well as document his ongoing influence in the American Academy of Cosmetic Dentistry. Not only is Emma Claire able to learn the many aspects of clinical dentistry, but also the many other components necessary for a successful private practice. The relationship between the doctor and patient is the most important element at The Gorman Center for Fine Dentistry and she has quickly learned the difference it makes by the welcoming attitudes and wonderful relationships Dr. Gorman and the team share with every person who walks through the door. Dr. Gorman serves as a great mentor and role model for Emma Claire and we feel excited and blessed to have her join us. Look for her the next time you are in, as she would love to get to know every patient of ours. She is looking forward to a year full of enriching experience and knowledge before she heads off to pursue her dreams of becoming a dentist. Thank you! Your kind words are much appreciated.